In a quote often misattributed to Einstein, the definition of insanity is said to be repeating the same action over and over again with the expectation of a different result. Regardless of who originally gave rise to the quote, it’s easy to understand the foolishness of continuing ineffective behaviors. And that’s how many lenders look at credit risk. Take second-chance loans, for example, which are often sought by those with less-than-stellar credit histories. Many lenders will consider it crazy to repeat the same mistake over and over again — or at all — by offering these consumers second-chance financing. But this isn’t always the case. Some lenders are more than willing to give those with poor credit a second chance, be it for personal, credit card, or auto loans. Because, as these lenders know, sometimes you really can get a different result. One of the best ways to ensure you make the most of your second chance at financing is to diligently make on-time payments to build a positive payment history. As 35% of your FICO score, a good payment history can make a big credit score difference. For most consumers, the most affordable — and, thus, easiest to repay on time — type of personal loan is an installment loan. Named for the series of installments (i.e., monthly payments) used to repay the loan, most personal installment loans extend anywhere from three months up to six years. Installment loans can be obtained in various sizes, making them a good option for most purchases, with our top-rated options offering loans up to $35,000 to qualified applicants. It’s important to look at each loan factor when comparing quotes for personal installment loans, including the length of the loan as well as the monthly payment and APR. That’s because the loan with the lowest interest rate or monthly payment may not always be the least expensive; how many of those payments you make will also play a role in the total cost of your loan. Think of it this way: the interest fees are the price you pay for borrowing money from the lender. The longer you borrow that money, the more interest you’ll pay for the privilege. This means the longer your loan terms extend, the more expensive that loan will become. And since lower monthly payments are typically a result of a longer loan, you may need to pay a little more each month for the best deal. In some cases, you don’t need an extensive loan for thousands of dollars, but simply a few hundred bucks to get through the week. For these situations, many turn to a short-term cash advance loan. Unlike installment loans, which are repaid via multiple payments, short-term loans are typically repaid as a single lump sum at the end of the loan terms, which includes both the principal and all finance charges. As the name suggests, short-term loans are just that; most short-term loans only extend between one week and six months in length, with a few weeks being typical. Amounts that can be obtained are also much smaller than personal installment loans, with our expert-rated options offering loans between $100 and $2,500. Unlike other credit products, most short-term cash advance loans don’t charge an interest fee based off of an APR. Instead, you’ll need to pay a flat-rate finance charge based on the amount you borrow. While these fees can seem small (a $15 fee for a $100 would not be atypical), when you extrapolate that fee into an APR, you can end up with a number in the triple digits. And that only gets worse if you need to extend the loan for any reason, taking on an additional finance charge for the extension. To avoid getting caught in a short-term loan trap, be sure you can repay your loan before signing on the dotted line. If you may need to borrow funds for longer than a short-term loan can affordably provide, use an installment loan. And if cash isn’t required, you should consider using a credit card instead of a short-term loan if possible, as they’ll generally have a lower APR than a short-term cash advance loan. Other than short-term loans with triple-digit APRs, credit cards are likely the easiest type of credit to obtain when you need a second chance at financing. While this means these cards will generally have higher-than-average APRs and may come with extra fees, they can be more affordable than short-term loans and, as revolving credit lines, can be used and repaid more than once. The three main types of credit cards available to those who need a second chance are unsecured subprime cards, closed-loop store cards, and secured credit cards. Subprime and store cards usually have higher interest rates, while secured cards will require a security deposit to use. Our list of top credit cards for poor credit includes a mix of credit card options to help you compare. One of the most important things to look for in a second-chance credit card is one that provides an interest rate grace period. The grace period gives you the time between when a charge is made and when the bill is due to pay off your balance before interest starts to accrue. This means if you can pay off your purchases before the end of the grace period, you won’t be charged interest on those purchases. Keep in mind that grace periods only apply to new purchases; transactions considered to be balance transfers or cash advances will start accruing interest as soon as the charge posts to your account. 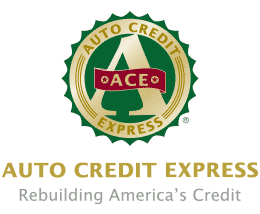 While not as easy to obtain as some other types of credit, second-chance auto loans can be easier to get than many people think. Essentially, auto loans are secured loans, with the vehicle itself acting as a sort of collateral against default (i.e., if you don’t pay back your loan, the lender can sell the car to get their money back), which means less risk to the lender. That reduced risk is what makes second-chance auto loans attainable for a range of credit scores, and is also part of the reason auto loans typically have lower APRs than other credit products for the same credit demographic. There are generally no set credit score requirements for second-chance auto loans, but you’ll need to meet basic income requirements to qualify for our expert picks. Since the vehicle itself will act as the security for the loan, most lenders will require you to provide details about the vehicle you wish to purchase during the application process, including the make, model, year, and trim style. This is so the lender can verify that the vehicle is actually worth the amount of the loan in case they need to sell it to recoup losses. Most lenders will offer the ability to check for loan pre-qualification if you don’t have a specific vehicle in mind but still want to get an idea of what size loan you can get (and at what rate). Pre-qualification generally uses a soft credit inquiry, rather than a hard inquiry, so it won’t impact your credit score. As with personal installment loans, be sure to look at all the factors of your auto loan when comparing offers. You may consider extending your auto loan as far as you can to secure the lowest monthly payment but that can be a costly mistake in the long run. The longer the loan, the more interest you’ll end up paying over the life of the loan. As with beauty, insanity can often be in the eye of the beholder. According to the fictional Jane Fulton, those who repeat the same actions while expecting different results are downright bonkers. And many lenders agree with the character’s assessment. For second-chance lenders, however, offering credit lines to those with poor credit isn’t crazy, it’s sound business. Of course, the unfortunate reality is that some second-chance borrowers will end up with the same credit-damaging results. But borrowers who can use that financing responsibly can have wonderfully different results, including a better credit score and an easier time obtaining new credit in the future.